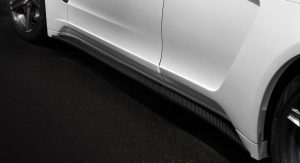 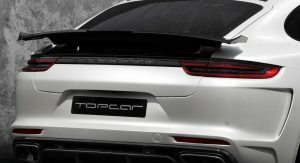 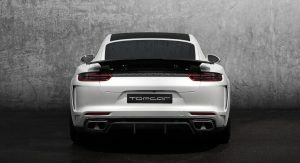 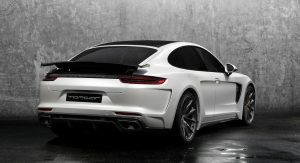 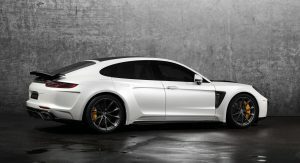 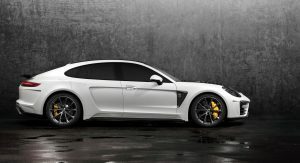 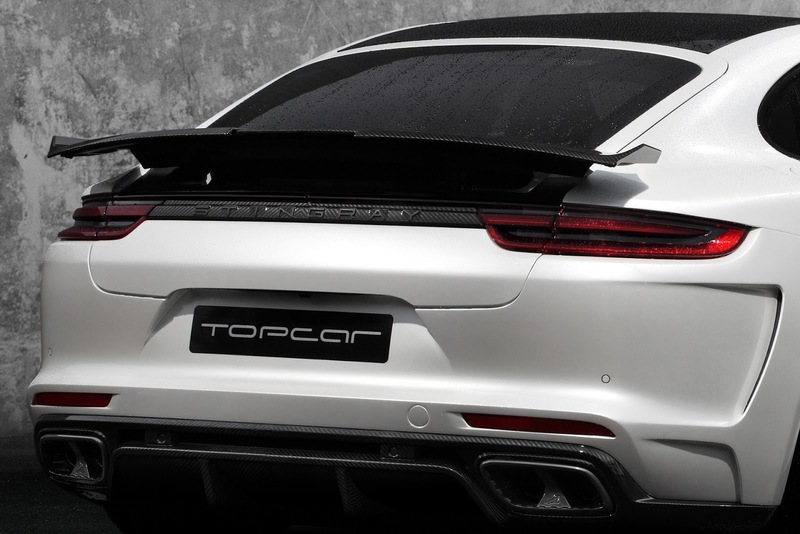 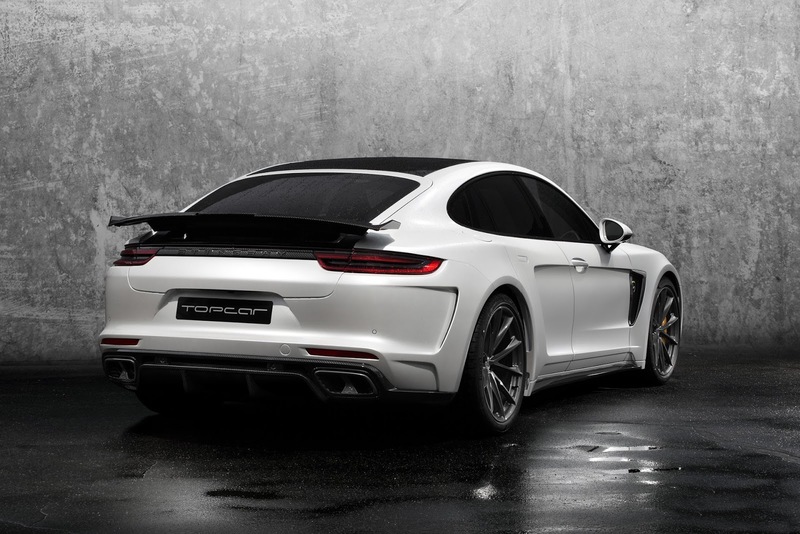 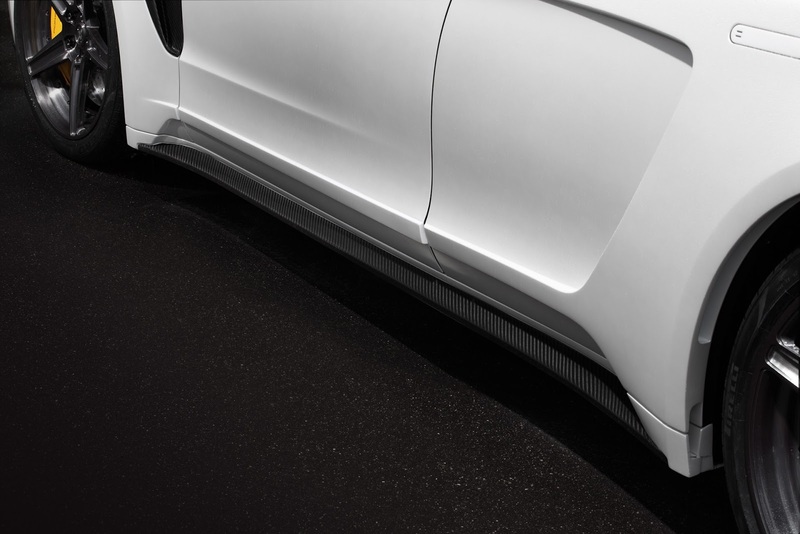 After a sneaky teaser image, TopCar has revealed its upgrade package for the second-generation Porsche Panamera and as we expected, it is rather extreme. 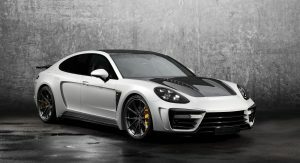 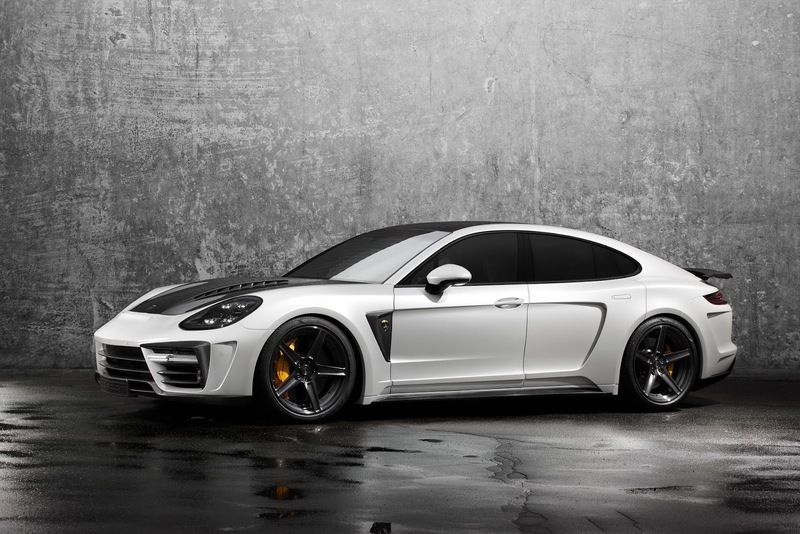 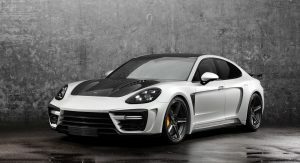 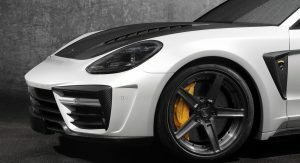 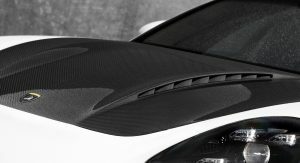 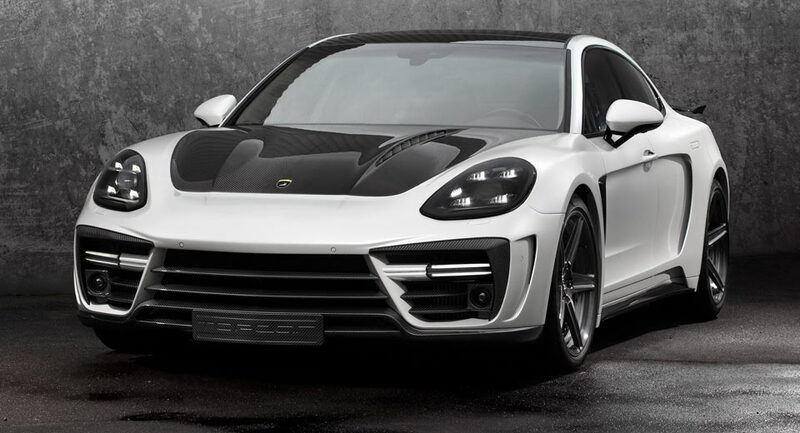 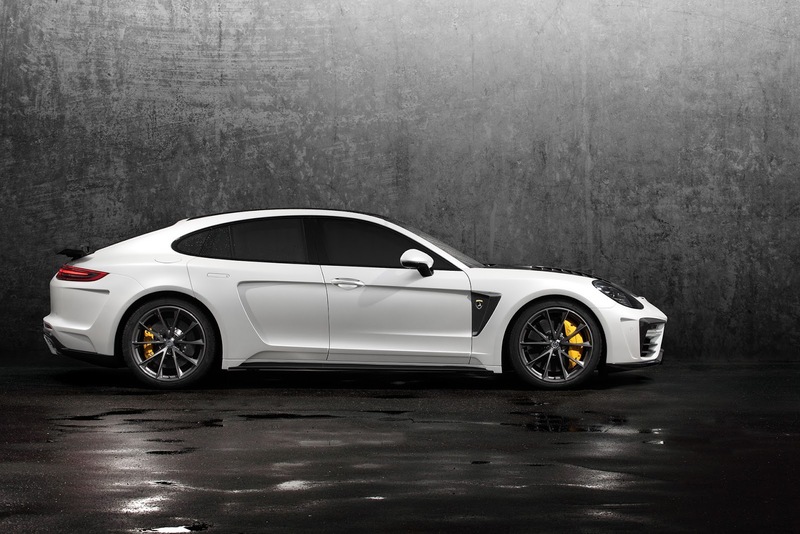 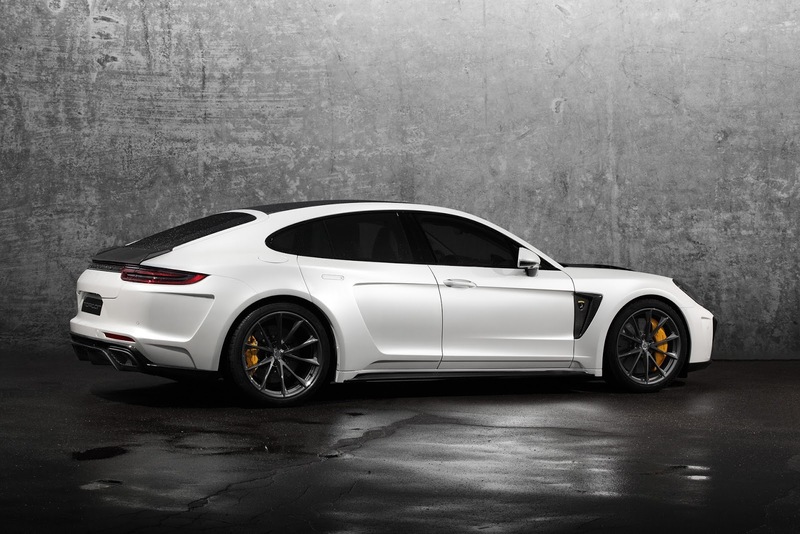 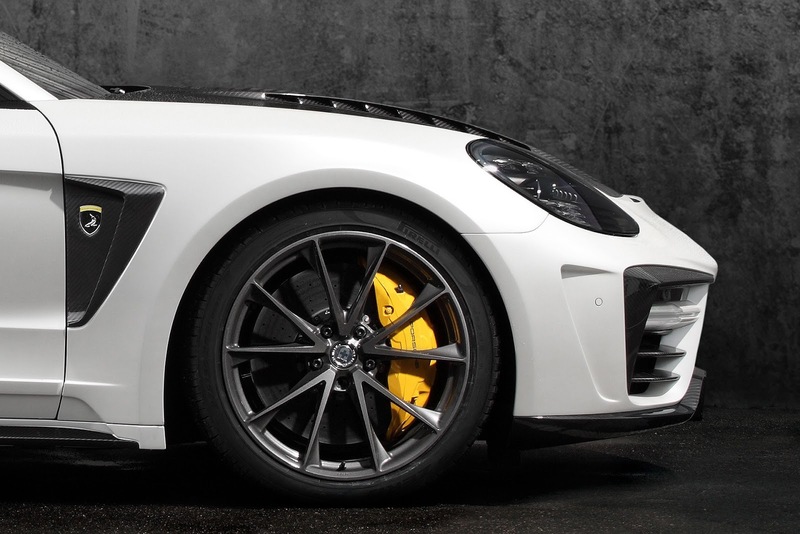 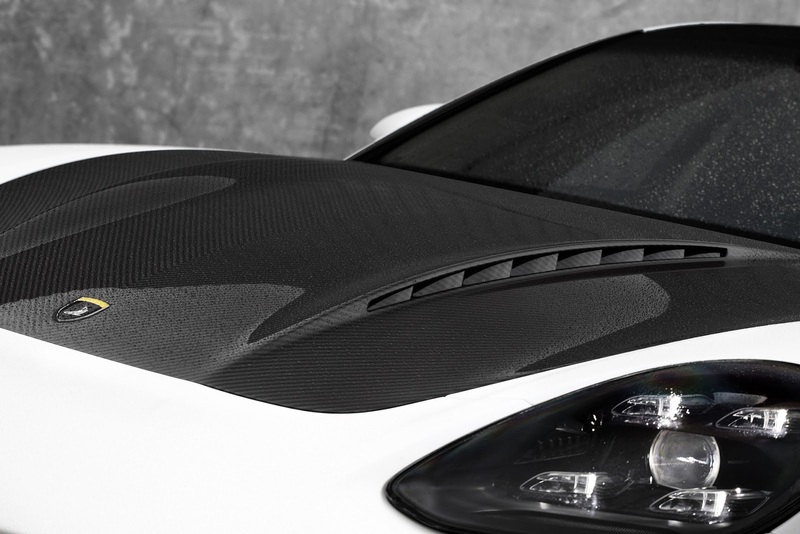 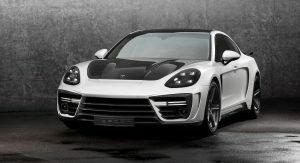 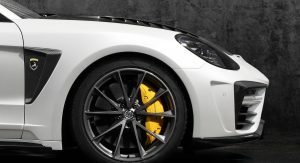 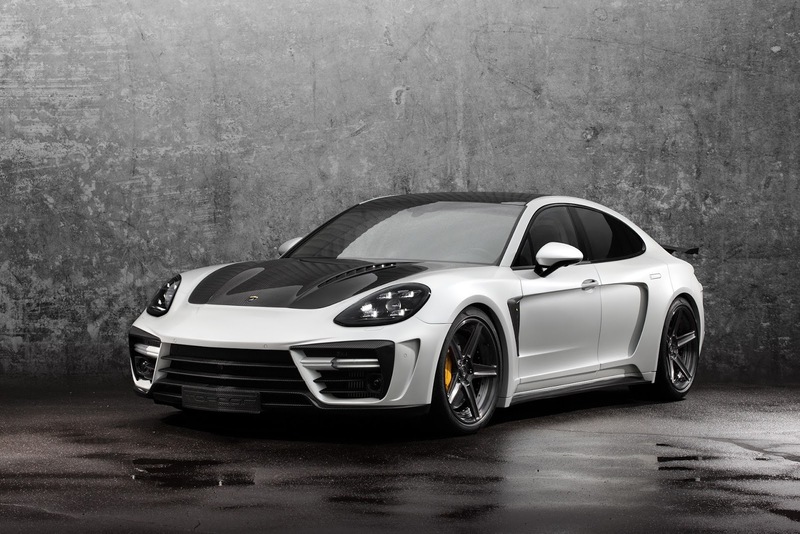 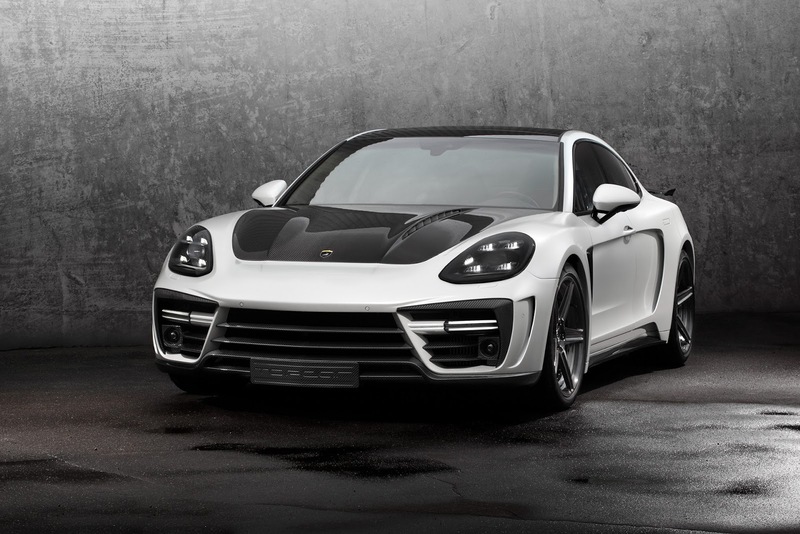 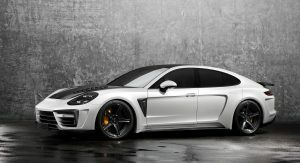 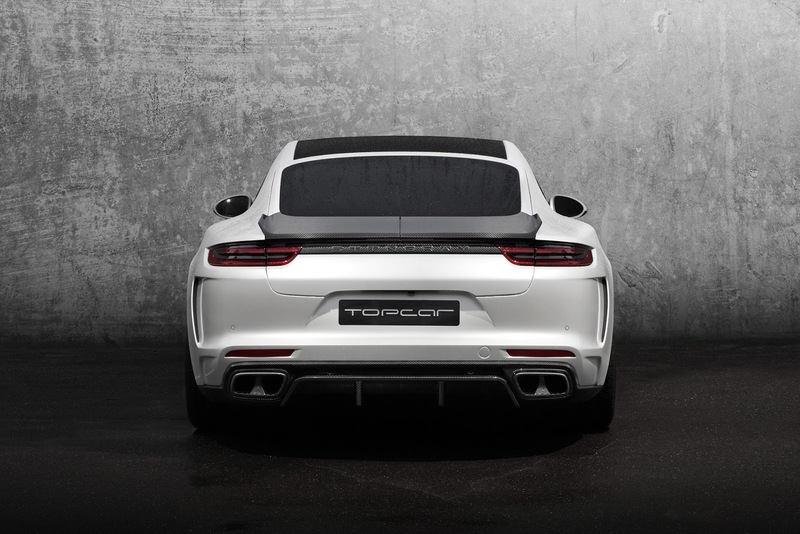 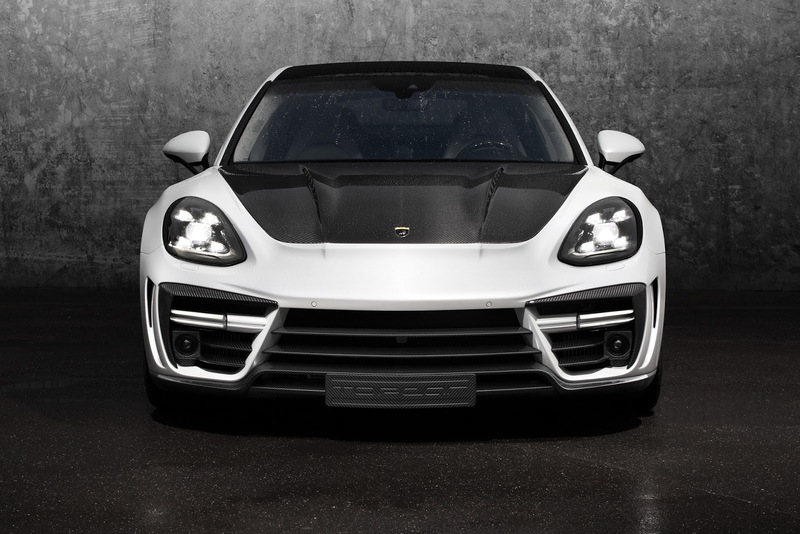 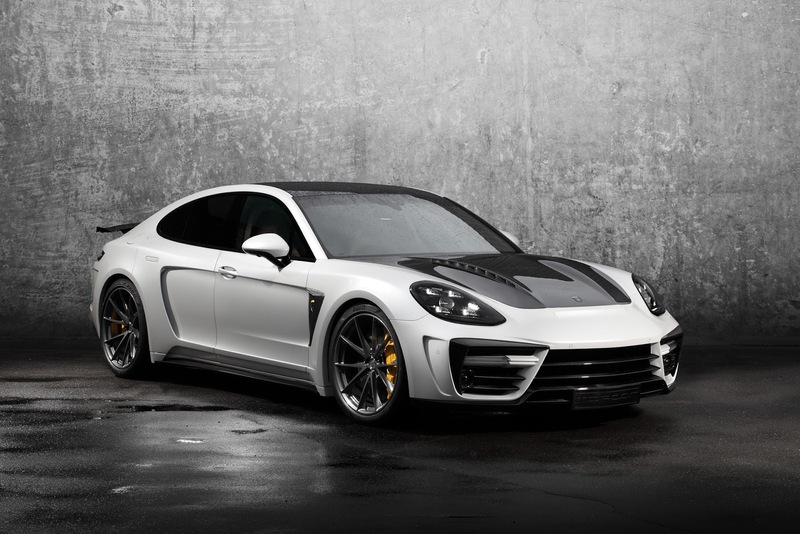 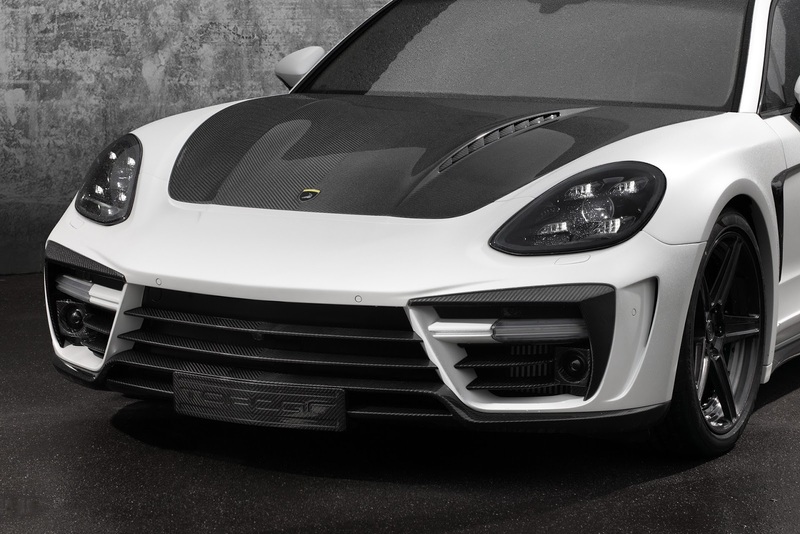 Dubbed the Panamera Stingray GTR Edition, the exterior of the German super sedan is now dominated by a custom bodykit that uses a plethora of carbon fiber components to utterly transform the persona of the car. 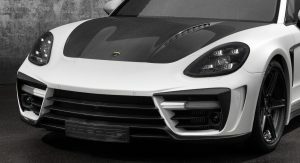 The changes start at the front with a new bumper, custom air intakes, redesigned daytime running lights and a distinctive hood finished in exposed carbon. 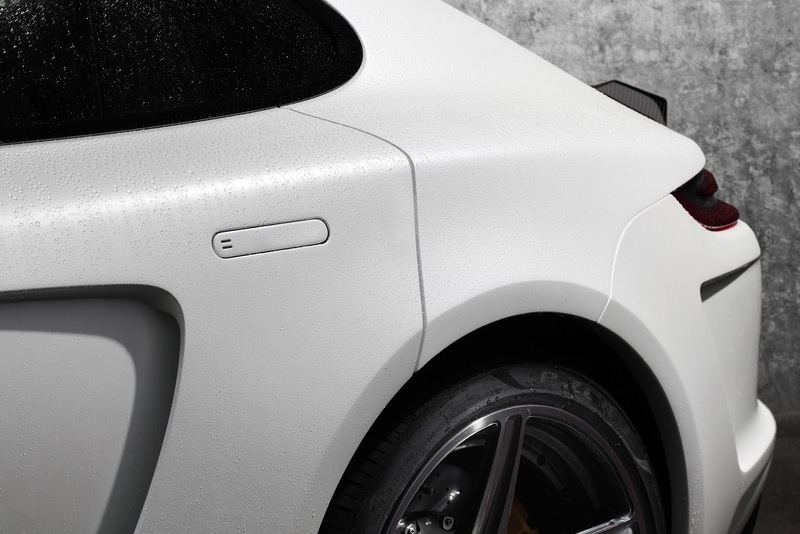 The mods then continue to the side skirts, with new trimmings on the doors for added aggressiveness. 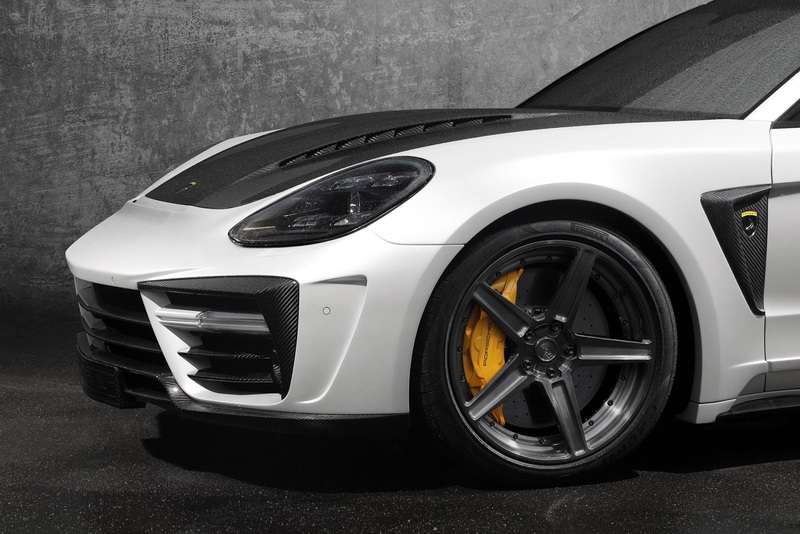 Completing the exterior touches are a selection of different wheels from HRE, ADV.1 and 1221, as well as a new rear bumper, wing and diffuser. If customers so wish, TopCar can also transform the interior of the second-gen Panamera with the finest materials, including crocodile leather, carbon fiber, wood and even 24 karat gold elements. 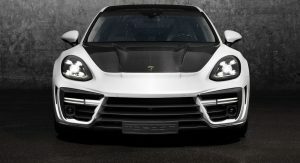 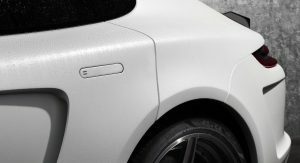 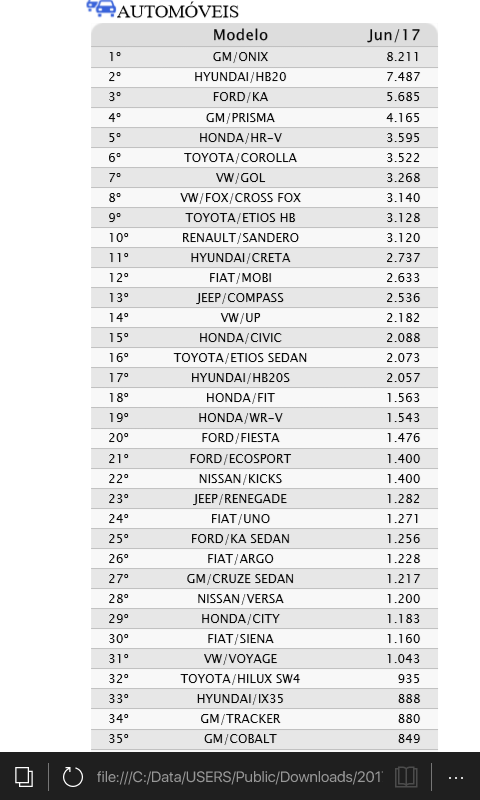 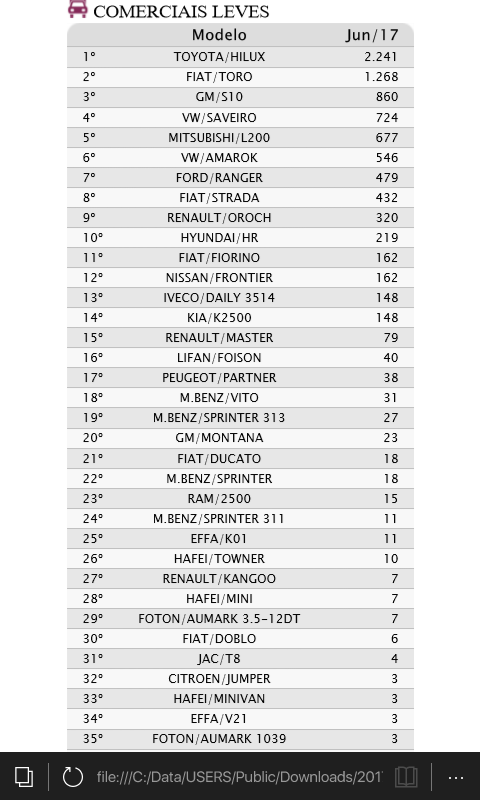 Buyers will have to hand over 24,556 euros ($27,926) for the bodykit, with prices inevitably rising considerably for interior modifications. 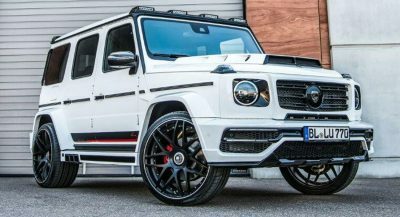 JUST GLUE IT ALL ON, COME WHAT MAY.